Our last stop in Africa was Cape Town. Originally we had not planned on going there, but all of our friends that had been said we would be foolish to miss it. Two other couples from our group also decided to extend their trip and go to Cape Town with us. We hired a guide for two days, and were driven to all the sights. 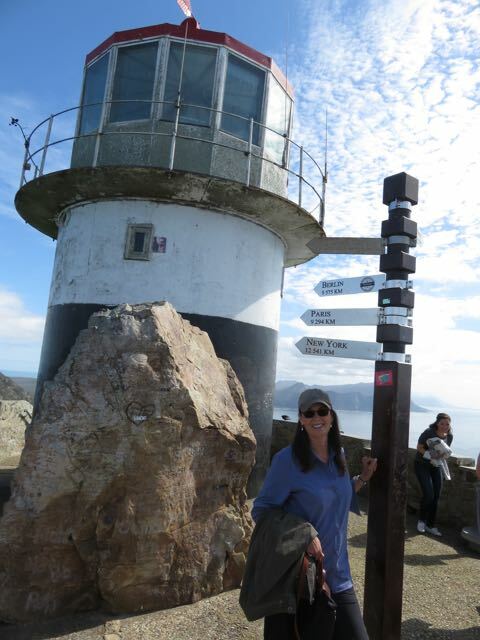 Our first stop was the Cape of Good Hope. For all the years I spent in school I was told that the Cape of Good Hope was the southern most tip of the African continent. Well guess what, it’s not. Cape Agulhas is the southern most point. Apparently Cape Agulhas is not nearly as picturesque as the Cape of Good Hope. 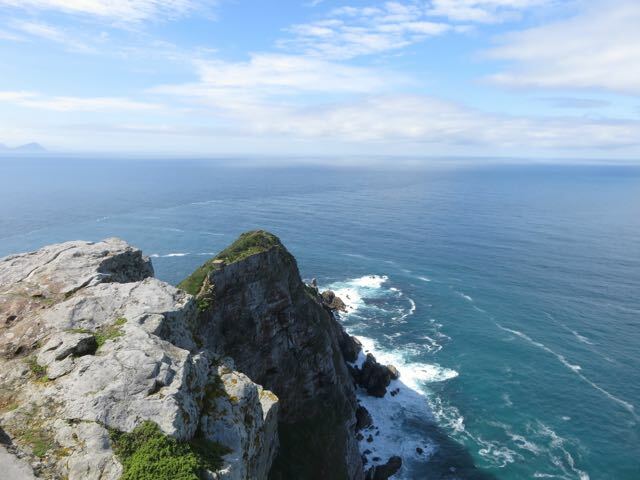 It is also much further from Cape Town, which is why the Cape of Good Hope gets all the press. The Cape of Good Hope is now a beautiful national park. There were a number of Eland in the park, which are the largest of the antelope family. There were also ostriches along with a friendly turtle, and a ton of tourists. 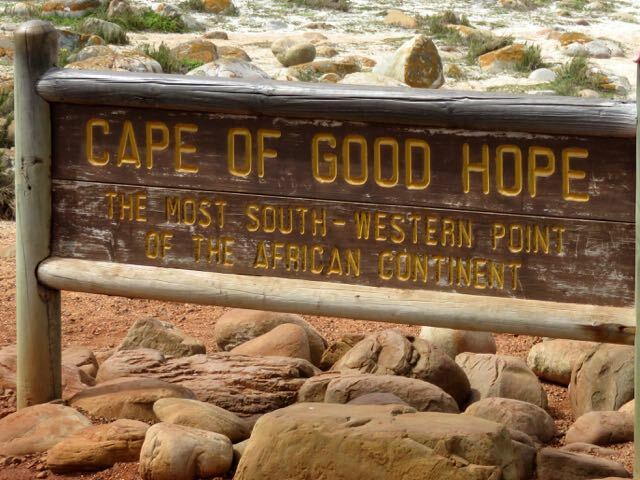 Our guide said that he had seen fights break out between tourists waiting to get a picture of their loved ones next to the Cape of Good Hope sign. Fortunately I didn’t have to wait to get a picture. At least I didn’t have to get into a fight over taking this picture. 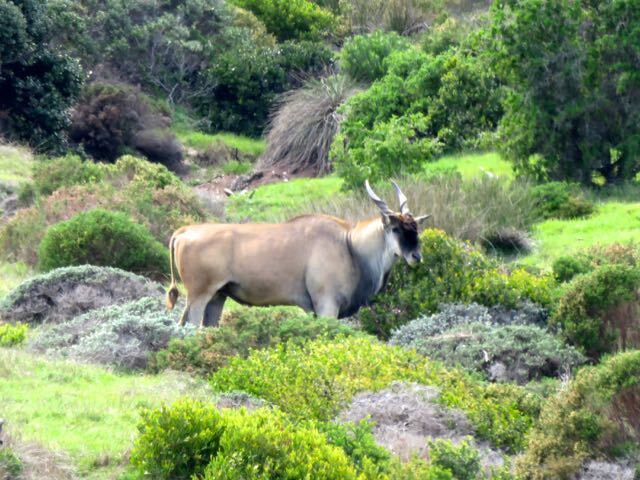 A beautiful Eland at the Cape of Good Hope park. 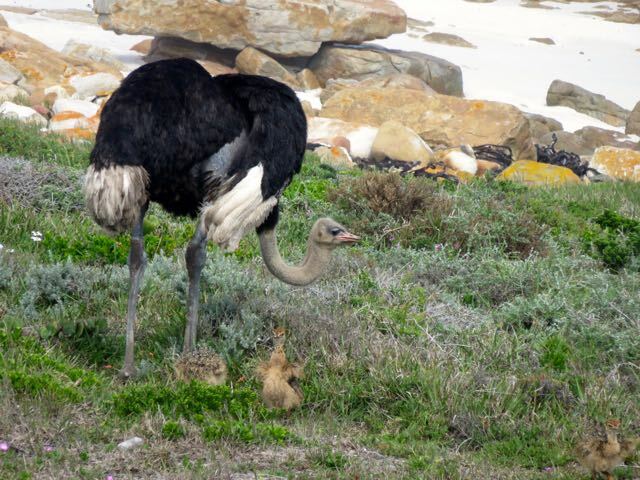 A mother ostrich and her babies. The lighthouse at the Cape of Good Hope. 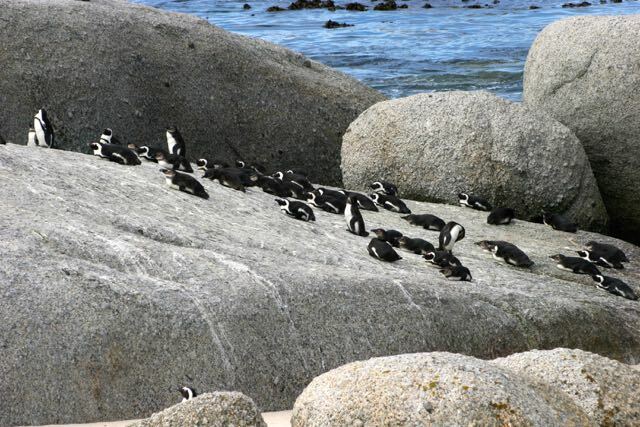 Our next stop was the famous Boulders Penguin Colony in Simon’s town. It wasn’t until 1983 that the first breeding pair of penguins was spotted there. I guess the penguins liked the atmosphere as they have literally taken over the entire beach. Before the penguins showed up Boulders was a popular swimming beach. Now it is completely fenced off, and you have to pay to get in. 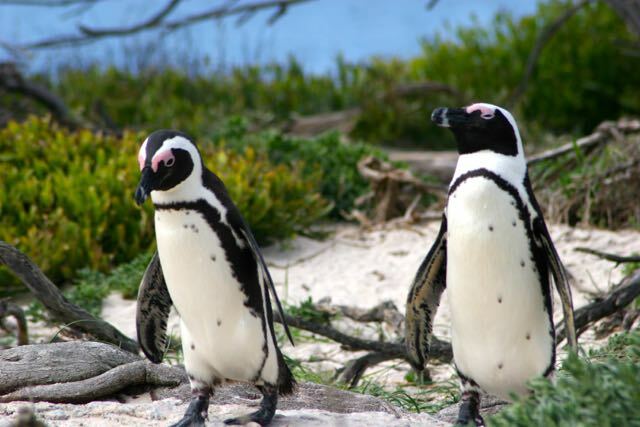 I suspect that the owners of the beachfront homes surrounding Boulders Beach are not that thrilled with the 3,000 penguins that have taken over their beach or the hoards of tourists they now have to contend with. At one time there were an estimated 4,000,000 penguins on the African Continent. 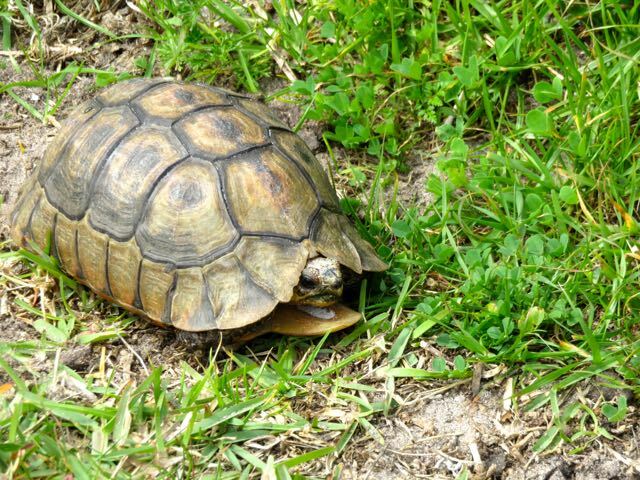 Unfortunately their habitat is being destroyed, and they are now endangered. 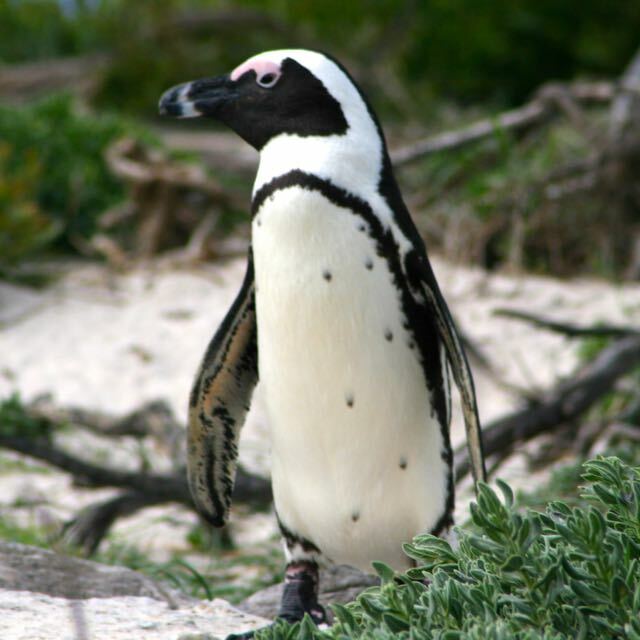 It is expected that the African penguin will be extinct in fifteen years. One last note about the friendly penguins in Simon’s Town they are commonly called Jackass penguins for the braying sound they make. There is also a small rodent like animal that shares the beach with the penguins. It’s called a Hyrax. The only problem is the Hyrax is not a rodent. 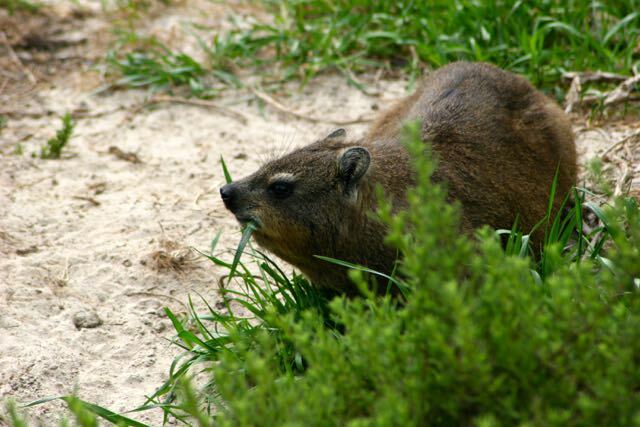 We were told that the Hyrax is the closest living relative to the elephant. I don’t know who decides these things, but I’m having a tough time with this one.